This month, She-in-ELT kicked off with two great pieces: one from About.com journalist Karen Schweitzer on Deborah Healey, the other by award-winning Business English textbook author, Vicki Hollett, who wrote about her OUP ed, Cristina Whitecross and later on this week we'll have Gavin Dudeney over to do a proper intro to the series telling us about a few of the women who've touched his professional life. I filmed(!) some of my students giving me feedback and solicited advice from you on doing progress checks. Covered the steps on how to become an ELT blogger (jam-packed with tips from 27 different bloggers) and also knocked up a quick and simple guide to using Twitter for English language teachers. Announced the Business English teacher's conference to be held in Poznan, Poland in November and also gave you the heads up on the scholarships available to attend IATEFL next year in Harrogate (submission deadline 18 Sept). 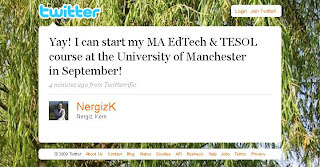 Twittered on about Twitter profiles, in the space of 140 characters, provided a video lesson plan using a Microsoft advertisement as a base for cultural discussion, gave you some ideas for using drawings and/or powerpoint with language learners and at the end of the month, shared a personal story of my own near-death experience, calling for a web2.0 way to write e-wills & last testaments. Ken Wilson has started blogging! This is no normal entry to the blogosphere - in fact, you could say, it's the very first ELT autobiographical blog from the youngest ever ELT author, the man who brought us the Mister Mondays songs and the English teaching theatre. And by the way, Vicki Hollett is calling for you to share your own starting off teaching stories with her. Another new prolific blogger I'm fast gaining respect for is Chwa EeLoon of the ELT Cafe in Malaysia. Chwa has a very unique and interesting style, short bursting posts about life on the job as a EFL teacher. One posting I enjoyed in particular was I'm black, you're white and she's fat. Isabelle Jones on My Languages announced a great competition for teenagers to create a bank of language training videos. Vicky Saumell found 12 essential steps to technology integration. Marisa Constantinides' behavour model for creating incompetence is an important read along side Andy Hockley's Mangerial reflections. Gavin Dudeney has been busy reinventing the wheel. Yeah, well, when it comes to Publishing anyway. 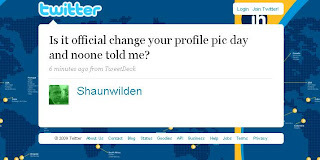 Mmmmm... seems my idea might not have been quite so 'whack' - wonder what's going on in that boardroom today, LOL! Alex Case is a Papi. Oh, I know that might not be so interesting for you lot, but Case has a special place in my blogger's heart: he's my maestro, taught me what I know - plus, gave me my first break by letting me do a guest piece for him at a time when my blog had like 50 visitors a day! Congrats Alex! 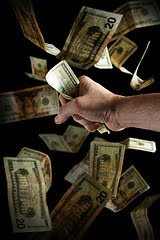 On a more serious note, he wrote a fab guest post for Burcu Akyol on writing articles for the ELT market and Jason Renshaw's been discussing the money ELT authors make on over here. 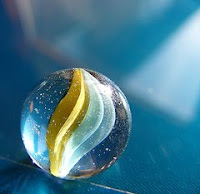 For more interesting postings currently available in the blogosphere, see OneStopBlogs. As there are simply so many fantastic links I've favorited and you don't really need my opinions on them, I've simply decided that I'd link them below - in the same way they'd appear within my twitter stream! 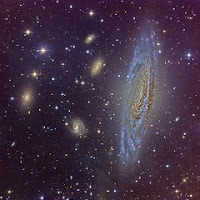 RT @marynabadenhors Change any written doc, RSS, blog etc. into spoken language 4 auditory learners http://www.readthewords.com Incredible!! @kalinagoenglish After that, try The Singing Neanderthals by Steven Mithen: language evolved out of innate musicality? in her weekly "What did they Tweet? series. 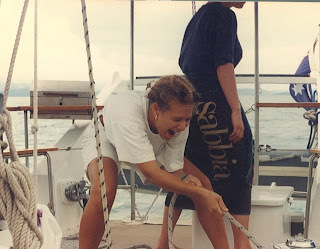 When I was 25 I worked aboard a 64ft ketch in Australia as its cook, deckhand and hostess with the mostest. We sailed the Whitsunday isles, dived the Great Barrier reef, swam with tiger sharks at dawn by accident and told the tale, paddled through phospherescence as if it were the Milky Way, stroked a playful puppy of a Maori Wrasse and whenever we parked in the Nara Inlet, woke to the wail of kookaburras. In between our journeys we had two days off. The first we spent shopping and restocking the liquor cabinet and perishables, doing the laundry, changing the sheets, desalting the windows and polishing brass 'til we could see our reflections. On the second day, Will and I would head off for a bit of adventure and a beer in the evening. It was the most perfect job I've ever had. One day, William suggested heading to Cedar Point Falls for a picnic. It was a lovely relaxing day until we decided that we'd go up and look at the waterfall from the top of the hill. The rocks were wet and slippery. Chatting, I turned towards Will and lost my footing. There are many emotions that go through a person when you're free-falling: mainly a simple and calm inevitability, some surprise and excitement (I don't know why) and regret. I briefly thought about my parents, that William had never asked me to sign anything and probably didn't know my last name, Mum wouldn't know I was gone, how long would it take before someone tracked down my passport locked within one of the hostal safes? I thought about my lover, who was in New Zealand at the time, and in the cracking of my hips against the cliff, heard an echo of our meaningless fights. Snippets of conversation, flashing laughter and my friends, the people I love. There was also a simple sadness and clear acknowledgement that I had not lived my destiny, a brief wish I'd done things differently. I knew I wouldn't live through the coming crash. Falling 3 more feet smacked my head on the rocks and died. Although, obviously there is much more to the rest of this story... and it has the expected freaky magic miracle stuff or I wouldn't be sitting in front of the computer 15 years later, typing it out for you... that's not really the point. The real reason for sharing it with you is because this week I've been reading Özge Karaoglu's blog postings on the creation of digital identities and e-portfolios (the idea of gathering everything you've done and are doing in one space) and somehow, her lovely writing has managed to get me all deep thinking and thought-piece moding. Many of us today are spread way across the net - we have profiles on Facebook, on Twitter, on LinkedIn, in Ning groups, photographs uploaded to Flickr, videos on youtube. We visit each other's blogs and skype with strangers. The reach and impact of our lives is no longer limited to our village space, to our friends and families, our students or our colleagues but now to people we have never met physically yet with whom we have daily or weekly contact. I've written before about my developing professional relationships and my new friendships and how I feel about these. I've read numerous other blog postings and know that many of us are becoming attached to each other through these "personal learning networks" and are in fact, beginning to actively seek out ways to deepen the relationship by talking on the phone and meeting up in real and second life. How will we feel when, inevitably, one of us goes? What if there's a car accident, a plane crash, a sudden heart attack? How will we know? Will that person have left us with a way to say goodbye? Why isn't there a simple website where we can plug in our various online profiles and through a chain of secret commands, which we'd leave with a loved one, send off a notification of the fact, a personal note of goodbye to particular folks or provide a way for the rest of us to pay respects. Probably. I hope you don't mind that I brought it up - Sunday afternoon and all that - even though I don't really have a solution to this and know that others internationally have thought about it as well - nothing is really being done. I hope that by sharing my story, it tells a little of why this "important-but-missing" aspect of the web 2.0 life bothers me and why it should be addressed. Karenne, there are so many inspiring women in TEFL, what about all the ones you're bound to miss? But, actually, I think I have your winner! I am proud to know the most inspiring woman, or person for that matter, in the field of English Language Teaching. Her name is Cristina Whitecross. Cristina's big and small: a huge intellect, a vast store of knowledge that she's constantly sharing and a gigantic personality all packed into a tiny 1.64m frame. She's Argentinean and was an English teacher there until life took a tragic turn. In 1976, under the Galtieri dictatorship, Cristina and her husband were imprisoned for six months for harbouring Chilean refugees. Argentinean prisons were filled with intellectuals who tried to find ways to share knowledge and keep going on. Thankfully Cristina and Richard survived and were freed, but they were exiled. Many years on one of her sons, inspired by the political injustice suffered by his parents, co-directed the movie The Road to Guantanamo with Michael Winterbottom. Once Christina was in the UK, she worked behind the scenes at Oxford University Press in the UK, heading up the professional English and applied linguistics list, along with the ELT Journal. She has also volunteered for Amnesty International and similar organizations, helping refugees in the UK to access support and ELT training. Sadly Richard has now developed Alzheimer’s so she spends a great deal of time visiting the hospital. Did I mention she has super-human time management skills? We’ve all wondered how she managed to do so much but now she's freelancing and doing even more. She still edits, exercises, sings, she takes courses and here's Dougie, the puppy she's training for Dogs for the Disabled. Over the years, she has sent me countless inspirational articles and sources of ideas – sometimes an in-flight magazine she picked up, a newspaper cutting - little packages arriving out of the blue just in case something might help. Writers wonder what they did before Google. I had Cristina. Cristina has sound, sound publishing judgment. Her colleagues say it's instinctive but I think it stems from a deep understanding of both theory and practice. Cristina would allow me make 'one last change' to a manuscript many, many times. But she also knew how to wrench it out of my hands at the right time. Cristina sticks her neck out. She's championed groundbreaking research and publications in English as a Lingua Franca, regardless of the political furor they've stirred amongst her peers. If you're fighting to do some good in the world, you'll never find a more loyal supporter than Cristina. Cristina gave me kicks up the backside when I didn't do things well, and there have been a good few. I remember her giving me a dressing down after a poorly angled talk. Donald Trump and Alan Sugar are wimps in the board room compared to Cristina. But I never left feeling abandoned, and I've always understood why I needed to do better. Cristina cares deeply about the development of the people around her and she's given me great advice over the years. Lots of other authors feel the same and her colleagues too. It may seem like publishers have a glamorous job, but they scrape by, in my experience - much like ELT teachers. For the most part, they're working very long hours for not a lot. Cristina takes a personal interest in us all. One last curious thing about Cristina. She can't read a newspaper without a pen in her hand. Even though it's been published, she's making corrections to the text. My take on it is she can't stop. She'll always be trying to make the world a better place. 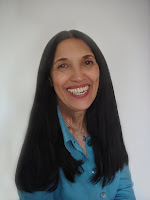 Vicki Hollett is the author of textbooks like Tech Talk, Business Objectives, Business Opportunities, Quick Work, Meeting Objectives, In at the Deep End and the soon to be Lifestyle. She attributes their success to imaginative students, her patient family and friends, and Cristina Whitecross. Oh and history – if anyone waits long enough they’re bound to come back into fashion again! Vicki’s special interests are business English, sociolinguistics and pragmatics. British by birth, she’s currently based in the US where she’s writing more courses, teaching at the University of Pennsylvania and learning to speak ‘merican. http://www.vickihollett.com. Somewhere, in one of the training manuals I read a long time ago, I found the steps teachers go through on their way to becoming great instructors and I've got this posted up on my wall for reflection. We do not know that we do not know. We're doing a crap job yet when the students don't learn, we blame them. They simply aren't interested, we cry. They have too many other obligations, we excuse. We know that what's occurring in our classes isn't working -that our students aren't getting it and that it probably has to do something with the way we're teaching... but we're not entirely sure how to fix the problems. The students are learning! Whoohoo, the magic is occurring - they're reusing the vocabulary in context, their fluency is fantastic... but... er, how on earth did we get here?? Why this class and not the one after this one? We're not able to put a finger on what it is that is, exactly, that's working so well. Through self-reflection and awareness of what and how we are teaching, we achieve a level of mastery in our teaching practice. We know what works, what doesn't for each (or most) of our students and we're able to provide them with the keys to successful language learning. While reaching no.4 is the goal of any great teacher, it also contains the added danger of slipping right on back down to step 1, especially if we're not actively involved in our professional development: conscientiously reading the latest methodology books and articles - attending workshops, taking part in webinars and going to conferences. However, don't worry, this post isn't about lecturing you... my blog's not really about that - is simply my public journey into becoming a better language teacher and teacher trainer and sharing the stuff I learn with you along the way. In fact, today, I'm going to show you that I am not The Perfect Teacher and despite 15 years on the job, still have areas to work on. I chose one of my smaller groups, made up of two students who're not easy for me to teach - although we get on well - to give me feedback on my training and our lessons and I asked if we could film it. I asked them if they'd not only be okay with us recording the session (cutting them out of the frame) but also if they'd be comfortable being completely honest. 1. What was your overall impression of the course? 2. Did you think the course was appropriately designed for your needs? 3. 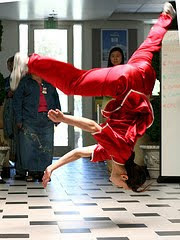 In your opinion, how flexible or structured were our training sessions? 4. What were some of the lessons you learned most from? 5. Can you think of a lesson in particular that you really enjoyed ? 6. What key areas should we spend more time on improving in the next course? 7. What should I, as your language teacher, work on improving? 8. Do you have anything extra you would like to add? How often do you get feedback on your progress as a teacher? How do you make sure you're meeting your students' needs? Do you have a standard set of questions you always ask? What are they? Are you embarrassed by praise? Do you ask your students to reflect on the good stuff they learned and highlight particular things that you need to now focus on doing? And finally, would you like to give me feedback on the way I ask for feedback, how could this be improved? Tony Watt's very interesting discussion on the IATEFL forum list on teaching methods vs. teaching principles. 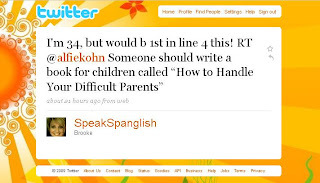 The other day I quickly posted up notes on how to best use Twitter in a couple of the ELT Yahoo!Groups I belong to and one community member wrote and said... er, why isn't this on your blog so we can find it again? (don't forget you can always print out my blog postings by scrolling down to the bottom and clicking on the eco-safe badge, you can also email it to other teachers who aren't yet on Twitter). Twitter is a conversation that happens at the speed your fingertips can type. For educators, it's a community, a place to meet and form global relationships with other like-minded professionals in a ...virtual staffroom. visit Twitter and create a profile. You can use a "handle" or alternative name if you wish. load up a great pic, preferably of you smiling. use a nice background, either those provided by Twitter backgrounds, your company's logo or a great photograph -perhaps where you're from or a place you enjoy visiting. write a good 160 character description of yourself, include your interests and be sure that your relevant expertise in teaching is there - bios are incredibly important to those who have many followers, we want to know who you are and if we should make the connect. to talk to someone on twitter use the @ sign in front of their name/handle at the start of the tweet (@kalinagoenglish blah, blah). Only they and the people you both share in common will see your message. if you are sharing something that you would like both the reader and the rest of your followers to see, enter a . or any text/symbol before the @name (hi @kalinagoenglish this is a gr8 link 2 materials from the BBC etc). if you would like to talk to someone privately put a D in front of the name no @ (i.e. D kalinagoenglish) or simply click on the word "message" on their home page. 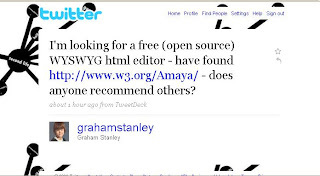 If you're using a client, click on the thing that looks like an envelope when you hover over the tweeter's picture. You can only do this if the person you follow is following you back. to share something from one tweeter to all of your followers, put an RT before the @name, this will spread the message on to the person's followers as well. think before you tweet ;-) sometimes you'll say things you didn't mean to or make spelling mistakes but don't worry about it. The time line's pretty quick and contrary to everything you read on the web, tweets disappear very quickly. the very best app (in my opinion) to manage life in Twitter is Tweetdeck. You can use this on your computer or on your phone. It's a free download and very easy to use. It also enables you to divide up your stream into different groups. you don't have to follow every link the second you see it appear on the screen. From the Twitter home page, click on the star and then read it when you have time. If you're using Tweetdeck, hover over the tweet, click on the settings wheel, scroll down to the tweet and click on favorite. you can also scan through these lists on Twubs: #teachertuesday and #edchat to find those with similar interests. to recommend other people to the people that you follow/ are following you back in your PLN (Personal Learning Network), use the hashtag #teachertuesday on Tuesdays or #followfriday on Fridays. 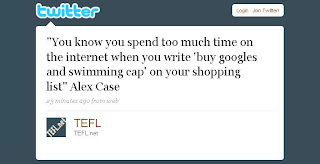 to show the whole Twitterverse that you are discussing something related to TEFL, use one of these hashtags: #tefl #esl #efl #elt #esp #businessenglish - this is also a great way to find other people to follow as you can save up to 10 searches on the twitter side bar. Obviously if you're a teacher of another subject use a relevant hashtag. as a general rule unless you're really, really only interested in talking to 10 people: follow your followers: try to limit yourself to those who are in the same niche area you are in. You can also follow people who have the same interests as you do - pop music, books or art. But be careful with social-networking "gurus" who tweet all day long filling your stream with miscellaneous information or the life-coaches who tweet nonsense and watch out the spammer p*rn-girls. 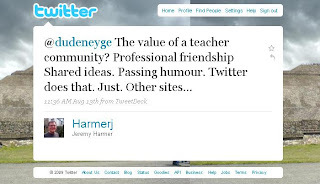 the fastest way to understand why millions of people, and now teacher-trainers, are recommending Twitter when, as a newbie, all you're seeing is chaos (that was me 6 months ago) is actually due to the quality of one's PLN. Twitter actually doesn't take on any shape until you follow and are followed by over 100 people. Once you reach that stage you will begin to connect and have fascinating and amusing conversations and you'll be able to access the Wisdom of the Crowd extremely quickly when you need to find information. 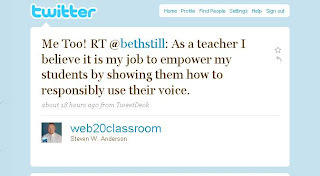 Twitter, as an educator, is all about the sharing. Sharing knowledge, getting to know other global teachers and networking with them, informing them about the work you do, finding out about the experiences they have, telling everyone about articles, blog postings or new ways of thinking about teaching. 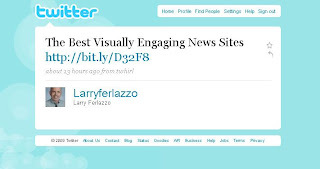 you can repeat tweets which contain important links. As twitter is global and obviously on a 24 hour clock, some of your followers may miss it the first time round so you can RT stuff hours or days apart. For those who're using their phones and are on Twitter all day or perhaps are insomniacs, you can vary up the intro to the link. Having excellent manners and fabulous net-i-quette. publicly or privately thank people when they RT your tweets - you don't have to do this all the time - however it doesn't hurt to be conscientious about doing it fairly regularly. likewise, when someone recommends you to their stream in #teachertuesday #tt #followfriday or #ff. Fairly rude if you never say thanks! btw, NEVER, ever use these hashtags to promote your own work or resources. Ever. We will hate you and possibly, probably, unfollow you. pay kindness back with kindness. Do unto others as you'd have them do unto you. Also, it is really important to note that an unbelievable amount about a person's character can be determined within those 140 characters you send out. So make a conscious effort to be the same nice person that you are in real life ;-). do not only talk about yourself /your company /your articles /your book/ your blog etc - no matter how passionate you are about these things. The general rule of thumb for this, if you're in business or you're on twitter for professional reasons, is: 1 about you and 4 about others/life/teaching and the questions of the universe. share the work of other people through RT'ing and communicate with other people about what they're doing: never put someone's name on something that they didn't tweet themselves. do not use a logo unless it is a very, very likeable one. No one wants to talk to an image. It's not rocket science: would you like to spend time talking with a poster or a roadside billboard? That would be seriously freaky, right? We can see your company's name at the bottom of your tweet or use it as your background - we'll notice you and respect you if you have a personal picture because it assures us that you're here to participate, not simply wanting to spam us. General teachers don't have to worry about the above. do not use an automated feeder only. We, like, um can tell that you're not you and it totally turns people off. 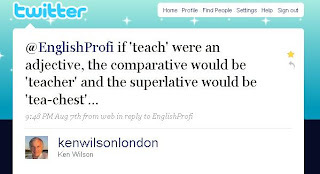 An exception to this might be Aniya, @TheEngTeacher (who came up with the concept of #teachertuesday - she uses Viigo to feed a constant stream of links on teaching, autism and smart-phone related issues). If you're on Twitter, then be on Twitter. do not protect your updates. It makes you look secretive. never ever follow any link that says "get 100 followers" -these are spam bots that will take over your account. Get your 100+ followers slowly and patiently by earning your stream's respect. If you follow weirdos and pornstars we will be rather dubious of you. be very cautious of DMs from people you don't really know advertising weight-loss gain or videos you starred in - these tend to be from people whose accounts have been hijacked (usually because they themselves clicked on a dodgy link) and are worms. do not talk about coffee, in fact, try to limit trivia in general unless it's Sunday morning (!) or you've been on for a while and have now formed real friendships with the global teachers you're meeting, share good links to the articles you've read and enjoyed. never, ever talk about dogs if you're following Scott Thornbury! LOL, obviously, do not tell him I warned you. My handle on twitter is @kalinagoenglish - http://twitter.com/kalinagoenglish. I lk fwd to c'ing u in the Twitterverse! How important is the web2.0 to your professional life? In the age of Twitter and Facebook what's happening to English? Larry Ferlazzo's Guide to participating in live-chat sessions related to ELT. Guido Europeaantje's webinar on joining and using Twitter, particularly for newbies. NOTE: this article, like most of the stuff I write is copyleft/licensed CC-ND-NC. This means that although it's totally free, it's also my intellectual property. Unlike copyrighted material, however, you can download it, pass it on, email it, print as a pdf, distribute it amongst your staff..etc, etc without notifying me. However if you'd like to use it in a commercial magazine, you should write and let me know the details. If you're a fellow blogger, no seriously, peeps - you can't copy the whole posting! Contact me and I'll let you know what to do. For the first time ever, the annual BESIG conference will be held outside central Europe and instead will take place in one of Poland's biggest cities - Poznan. Every year the IATEFL Business English SIG conference draws between 350 and 550 participants, bringing together teachers, publishers, innovators, school representatives and it is a unique forum for anyone working in the field of business English teaching. This year the plenary will be given by my favorite business course book author, Vicki Hollett, and she'll be talking to us about relationships and the effect interpersonal language has in the workplace. Anişoara Pop from Romania presenting asynchronous speaking and writing web 2.0 tools, Nick Robinson designing needs and means analysis in Financial English, Rita Baker spelling and Chia Suan Chong on an alternative to ELF. Heike Philp, Graham Stanley and Holly Longstroth will be discussing business English in 2ndLife; Christiana Gardikioti will talk about how to make effective powerpoint presentations and Matt Firth will review the Legal English Certificate. David Cotton on authentic business videos, Duncan Baker chatting with you on finding business clients, Paul Emmerson (is this his first live workshop since he became a daddy? ;-)), will be highlighting his book, Business Vocabulary Builder; Anne Hodgson on monitoring and motivating our 1:1 students and also Tonya Trapp reviewing generation Y in business English. And many, many, many, more fascinating presentations. Early bird registration (by Sept 30) - €120, €95 IATEFL members. 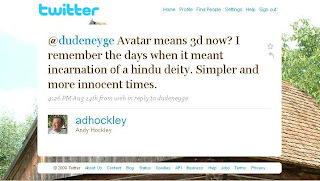 p.s to watch a video from last years' conference, see this posting here. IATEFL Scholarships 2010 - deadline 18 September 2009!! Attending something like the IATEFL probably seems like one of those unreachable career objectives. I mean, the cost of the flight, hotels, the conference itself..? We're EFL teachers, money is not exactly a plenty, now is it? Well, guess what - there are scholarships! Please can you spread the word that there are scholarships available to participate at IATEFL's Annual International Conference and Exhibition in Harrogate, UK, in April 2010. There are 16 scholarships available, all with the deadline of 18th September 2009 for applications to reach IATEFL. We hope to receive many applications this year. I've had a look at what's on offer - basically, there are scholarships for non-members of IATEFL, many more for those who are members: scholarships aimed at teacher-trainers and trainees, first-time speaker awards, scholarships for new teachers(! ), scholarships for those who teach with young learners, those who work on humanizing language teaching and much, much more. So, want to develop your professional career in the field of English Language Teaching? Head on over to their website and I'll see you in Harrogate. p.s Plenary speakers next year include Tessa Woodward, Kieran Egan, Ema Ushioda and Jan Blake - keep posted on updated details on the conference here. p.p.s. To see how fab it was last year (I watched it all online earlier this year... which is why am going next) check out the forum, photos, filmed keynote presentations etc here. One of the absolute best supplementary books to use when teaching banking or financial types is Financial English by Ian MacKenzie. However, despite the absolute wealth of vocabulary it contains, the exercises can be a bit difficult for students to do, especially if they've never seen the words before and also the book is, quite frankly, a wee dry. If you've been reading my blog for a while then you've probably already gleaned by now that I like to have a bit of fun in my lessons... and I've noticed you do too... while still sticking to the core learning objectives. So in this posting I'm going to hone in on two different approaches to working with lists of words, when presenting a visual lexis. 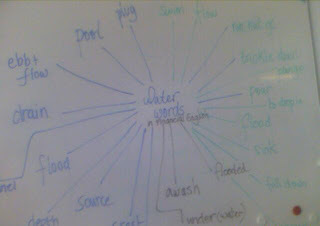 For this example, we'll look at the language in unit 2.10 of Financial English, Liquid Metaphors. channel, dry up, flood, flow, pour, run out of, swim, trickle down, drain, ebb and flow, pool, source, awash, crest, depth, under(water), fluid, sank, plug. *To mix things up, I also brainstorm a list of related lexis with my students and provide extras before evenly distributing these amongst the students e.g. (water)fall, drop, river, cross that bridge, laundry, ocean, wave & drown. Hand out the vocabulary and ask your students to draw pictures matching each word. As great masterpieces aren't expected, you'd be surprised how much 50+ year old bankers enjoy doing this type of activity, LOL! For the words they have difficulty drawing (because they don't know them) either encourage them to help each other out, mime the words or allow them to use a dictionary. Give your students their share of the words and set image searching as their pre-task activity. 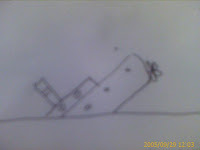 They can use Google images (use safe search), any photo based web 2.0 platform and/or my personal favorite, flickr. Remind them to look for images that are creative commons licensed. Ask them to copy the pictures into Powerpoint, create slides & label if wished. n.b. if you don't have a computer in the classroom this pre-task can be set as a home based activity. 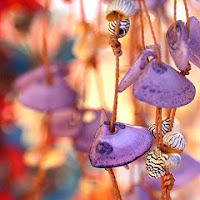 Spread the pictures across the table or if you have one, pin them up on a corkboard. Encourage your students to present their drawings or slides and to share their understanding of the words they've learned with each other. 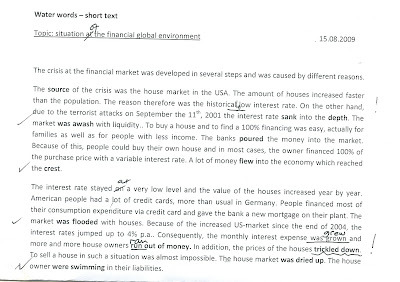 Do the exercise provided by the book* - if feasible, get them working in pairs of groups discussing the different solutions applying the words to a financial context, referencing the pictures on the table. *obviously although I'm using Financial English as the example here, you can do this activity with any vocabulary book. Build awareness by highlighting and discussing the common expresssions i.e. 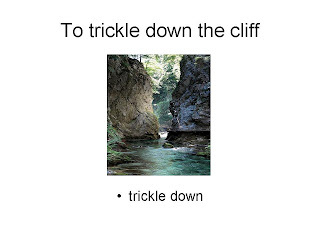 trickle down, run out of, riding on the crest of a wave, pulling the plug on something, a huge pool of resources etc - encourage them to come up with alternative sentences using these. Correct their pieces and get them to share what they wrote with each other - encourage further conversation on the opinions stated - reusing the collocative phrases as often as possible. Side note: I've done both of these methods with my learners and they all reported 1) increased awareness of the vocabulary and 2) a noticing of the lexis in later financial news articles. For me, these approaches of working with images, while similar probably have different effects on memory. I've been thinking about it and reckon that they probably trigger different learning processes (one involves some physical learning and discovery of the lexis, the image searching would result in immediate association between the word and image) however, honestly, as I'm not a scientist nor do I have a masters in second language acquisition, I'd really love to know your professional take on this issue. Do you know of supportive texts that back these ideas up? Have you/would you also do this type of activity with kids or teens? Why, why not? Scott Thornbury on Repetition, great YouTube video! The Weboword Ning - for vocabulary enthusiasts, lovers and learners! This is the world's first community dedicated to Visual Vocabulary.